Plans are currently being finalized for the inaugural flight of Seaborne Airlines to Anguilla on April 30, 2015. 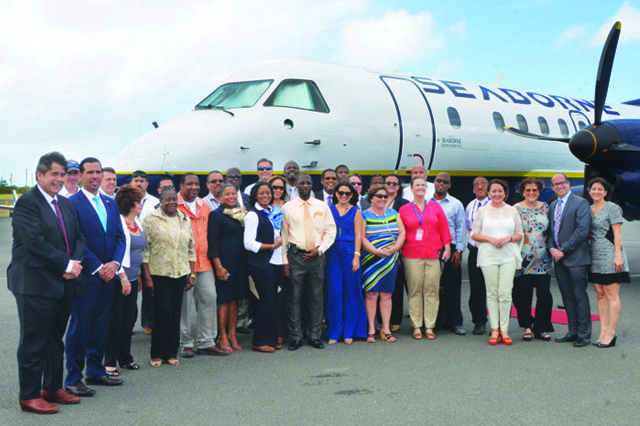 The 34- seater SAAB aircraft, which will operate three days per week on Thursday, Saturday and Sunday, is scheduled to depart San Juan at 1:00 pm, arriving Anguilla at 2:05 pm. The flight will then depart Anguilla at 2:50 pm, arriving San Juan at 3:55 pm. A special introductory rate of US$215.00 roundtrip, with all taxes included, will be available on the flight up to June 17th, 2015. 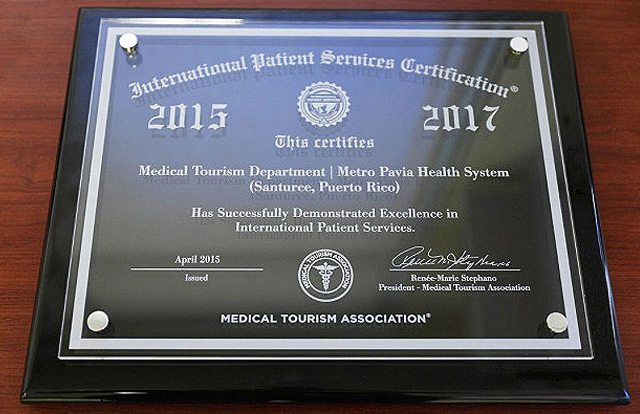 The Puerto Rico Medical Tourism Corporation and Medical Tourism Association (MTA) headquartered in Florida, announced today that the Hospital Pavia Santurce became the first health provider in the Island to be certified in medical tourism after a training process and inspection of facilities. 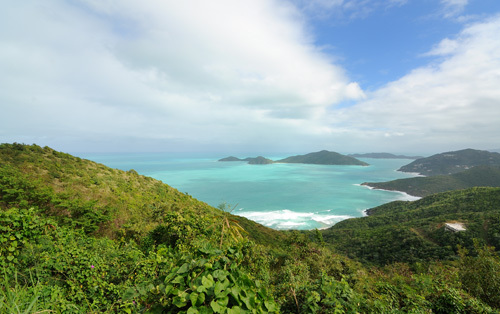 In the midst of a beautiful summer sunset with stunning Sir Francis Drake Passage views, Pavia Hospital and its affiliated Health System, Metro Pavia Health (MPHS), celebrated on Friday, July 11th, 2014 its inaugural and ribbon cutting ceremony of the Tortola, British Virgin Islands Patient Information and Customer Service Center. The new Customer Service Center location is at the Manuel Reef Marina in Sea Cows Bay in the also recently inaugurated VI Medical Clinic. 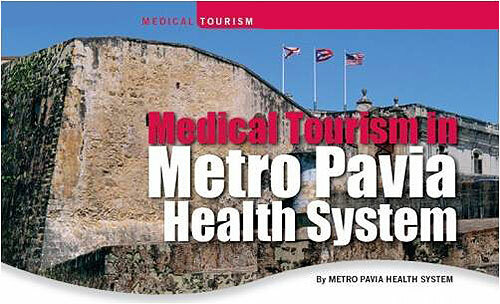 Metro Pavia Health System (MPHS) is the largest network of hospitals in Puerto Rico and the Caribbean and is also the pioneer in the medical tourism industry within the region. 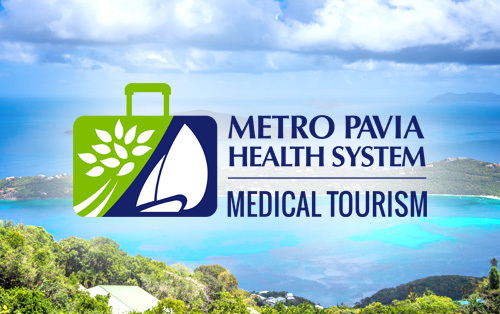 Metro Pavia Health System (MPHS), The largest network of hospitals in Puerto Rico and the Caribbean, pioneers with medical tourism in the Virgin Islands with more than 20 years of experience. Once again positioned itself at the vanguard of healthcare with its 12th Annual Medical Symposium, a successful event held at Maria’s by the Sea, Road Town, Tortola. 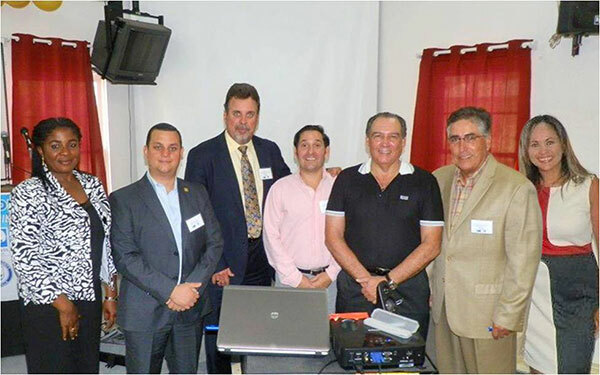 The symposium was attended by a crowded group of specialists and healthcare providers. 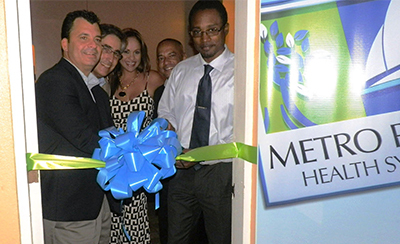 Metro Pavia Health System, the largest hospitals’ network in Puerto Rico and the Caribbean and pioneers in Medical Tourism servicing the neighboring islands for the past two decades, inaugurated its new Information Center located at Vitraco Mall, next to “Doctors On Duty” Medical Office in St. Thomas, U.S. Virgin Islands. With a network of thirteen hospitals, Metro Pavia Health System (MPHS) is the largest hospital and clinic network provider in Puerto Rico and the Caribbean, and the hub for travelers' healthcare necessities. Our hospitals are fully accredited by the Joint Commission (JCAHO), certified by the Center for Medicare and Medicaid (CMS) and members in good standing of the American Hospitals Association. Our physicians are U.S. Board Certified and fluent in the English language.